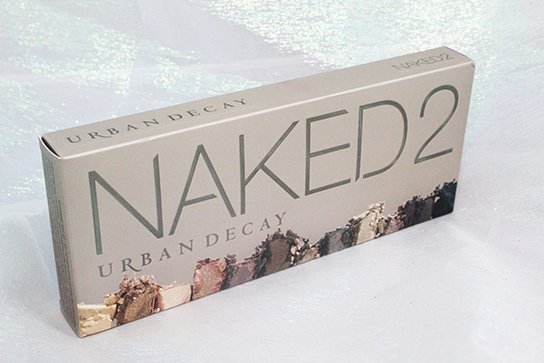 Unique-Desire: Urban Decay Naked2 Palette ~ Review + Swatches + Look! 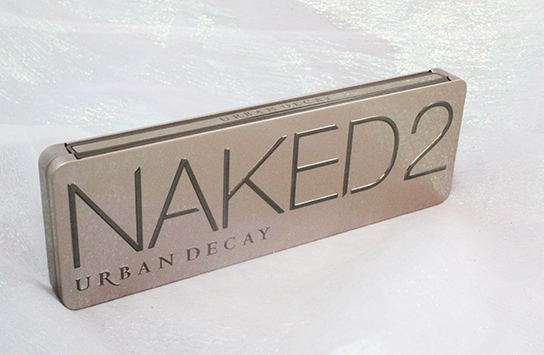 Urban Decay Naked2 Palette ~ Review + Swatches + Look! Hey guys! I have a new palette to show you! Well it is new to me! I just recently got a gift card to Sephora and could not decide what I wanted. I was either going to get the Naked2, Becca Highlighter or Kat Von D Shade + Light palette and when I saw the colours in this palette I new I had to have it! I already have the first Naked Palette(have had it for about 3 years now ~ If you wanna see that one let me know!) and I also just got the NAKED SMOKEY!!! Which I will also be showing you guys later in the week! So this is what the packaging looks like. It is in a metal case that snaps close. It has a much bigger mirror and has a double ended brush which I will show you guys in a bit. 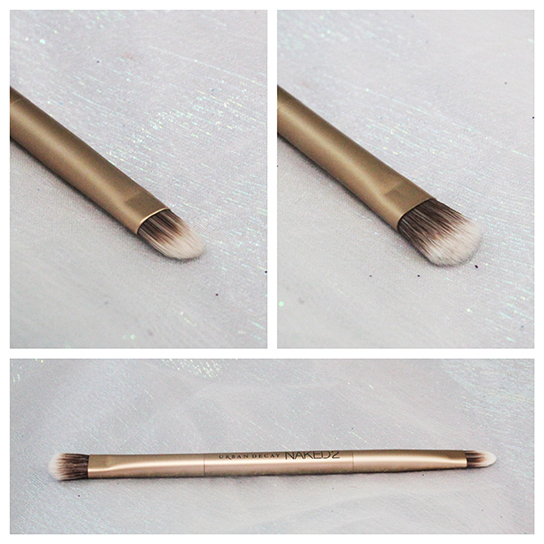 This is what the brush looks like. I has a flat small shader on one end and a semi-flat fluffy brush on the other. The one I purchased did come with four samples of the Urban Decay Primer Potion. So the bottom left photo has the primers on their own and the right has them with Bootycall on top. The swatches go: Top left is Original, Top right is Sin, Bottom left is Eden and Bottom Right is Anti-Aging. The swatch in the middle is bootycall on its own with no primer. The anti-aging one is my favorite because it is brightening and if it helps reduce rinkles, why not? Then my 2nd favorite is Sin because it is super pretty a perfect base for shimmery shades and the shadows did not budge with this under them. I depotted all of these sample into little jars and I feel like they will last me a really long time. They gave me a good amount of product. 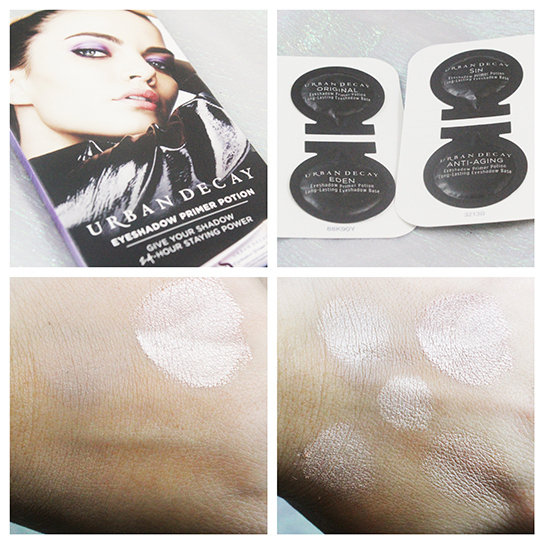 Urban Decay Primer Potion in Sin and Anti-Aging. Naked2 Palette using Bootycall, Suspect, Snakebite, Busted, Blackout and Foxy. 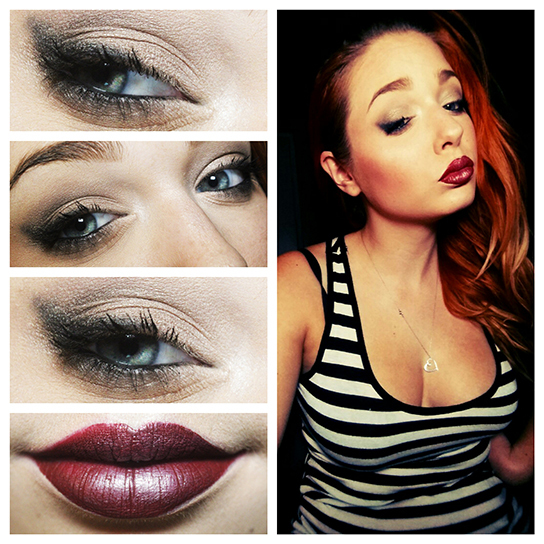 Maybelline Gel liner smudged out with Sephora eyeliner in Black Lace on the waterline. Topped off with some Maybelline Mascara. Aesthetica Contour Kit, NYX Blush in Bordeoux, Colourpop SuperShock Cheek Highlight in Stole the Show. Colourpop Ultra Matte Liquid Lipstick in Avenue and Colourpop SuperShock Cheek Highlight in Stole the Show on top. You can check out my review for Colourpop's Ultra Matte Liquid Lipsticks HERE, They will be available to purchase for $6.00 on www.colourpop.com soon and you can buy your Naked2 Palette from www.urbandecay.com or from www.sephora.com OR www.ulta.com for $54.00. Depending on where you buy determines what samples you get with your palette. 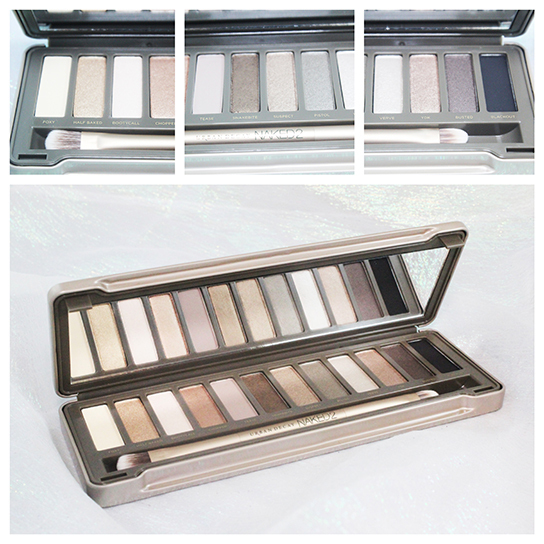 Stay tuned for the Naked SMOKEY Palette review soon! !